Check out this lot as well as the Native American jewelry, basket. Native American jewelry & artifacts – take a peek- for our May 26th Auction. 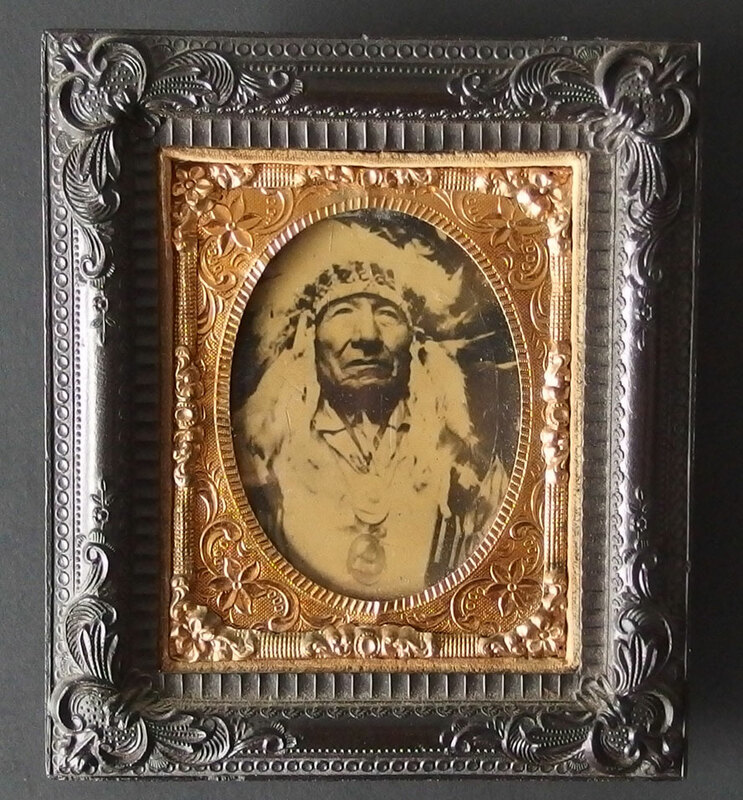 A photo (Lot 222) of Chief Red Cloud (1822-1909). One of the most important leaders of the Lakota. He fought and won territories against the United States Army. 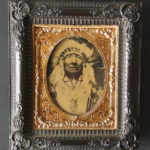 Eventually the Chief was one of the Indians who signed a treaty with U.S. Government to move from their land in 1868. In 1980 Supreme Court -v- Sioux Nation of Indians the treaty was revoked stating it was an illegal transaction by the U.S. Government, The Sioux won the case and compensated with interest $1 billion. As of 2018 the awarded money has never been collected, as the Sioux refused the money and requested their land back.